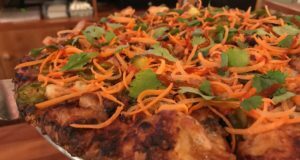 There is a lot of hype around Keste Pizza & Vino which just opened in the West Village this week. 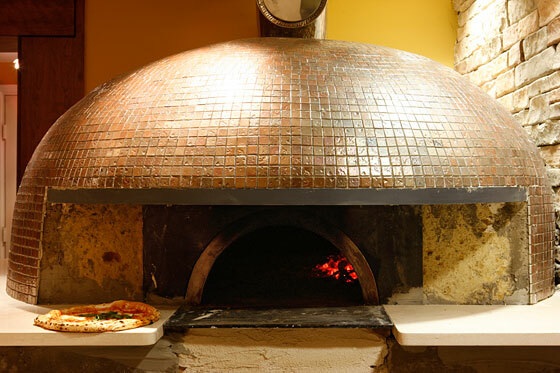 Perhaps it has to do with their spaceship-like brick oven. Ryah and I swung by on Wednesday night around 6PM to see if the hype was warranted. The restaurant, which seats about 30 people, is pretty bare bones. Although there is some nice faux exposed brick, the place feels more like a school cafeteria than an upscale pizzeria. We tried three pies: the Margherita (tomato, fresh mozzarella, basil and extra virgin olive oil), Pizza Del Rey (fresh mozzarella, mushroom, prosciutto di parma, truffle spread, extra virgin olive) and Pizza Del Papa (butternut squash cream, imported smoked mozzarella, and artichoke). The Margherita was pretty standard. Very delicious, but nothing too distinguishable between other pizza places I’ve tried in the past few months. 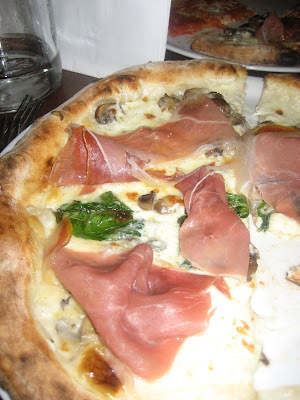 It had a similar composition as, say, the Margherita pie at Co. or San Marazano. 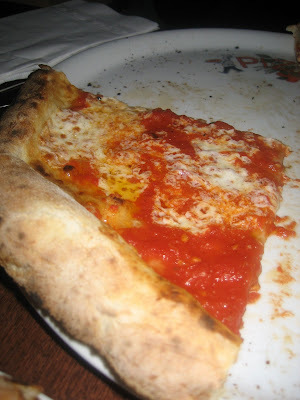 The Pizza Del Rey was our favorite of the evening (although my slices were eaten sans prosciutto). 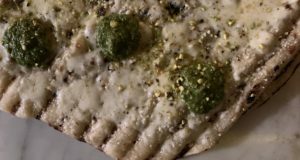 The most expensive item on the menu at $19, each ingredient added a distinct taste to the pie and its unique combination of flavors made it stand out on an eclectic menu of pizzas. 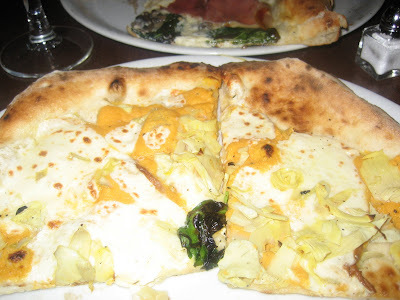 I had very high expectations for the Pizza Del Papa since I’m a big fan of butternut squash. It was tasty, although I would have preferred a bit more squash and a little less artichoke. Since it was a bit sweeter, it was a nice pie to end the night with (although I think we were both a bit stuffed by the time it came out). 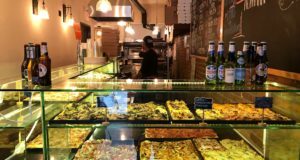 Although the pizzas are pretty pricey, since the restaurant is still BYOB, you can buy some beers across the street and get out of there without spending more than $25 on food and drinks. We paired our pizza with an excellent beer selection of Anchor Steam, Newcastle, Dogfish Head Indian Brown Ale, and some obscure Asian beer which I can’t recall (let alone pronounce). With so much competition out there, I’m not sure I’ll go back to Keste anytime soon, but it was a thoroughly enjoyable pizza outing overall! * Ryah has informed me that the Asian beer was Tsingtao!! Next: Pizza Truck on the L.E.S.